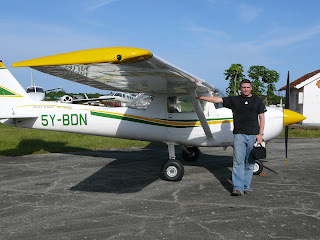 Called Reshma, chief flying instructor from the Kenya School of Flying. They have their main offices in Nairobi, but train a lot in HKML (Malindi) on the coast - less traffic, and better aircraft performance (because it is sea level, while Nairobi airports are at 5500 feet elevation). 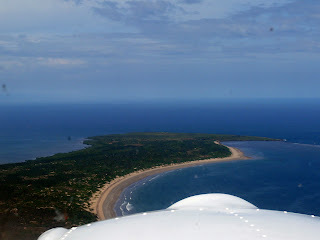 She had a Cessna 152 available, so off we went. 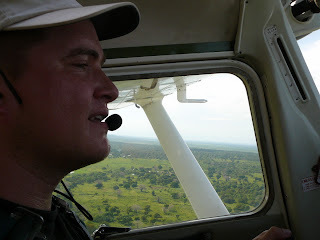 Unfortunately, general aviation is quite expensive in Kenya, so I flew only one hour. Portuguese explorer Vasco Da Gama arrived in Malindi on his first voyage 1499, and set off from here to India with the help of Arab navigators. He erected the pillar below. 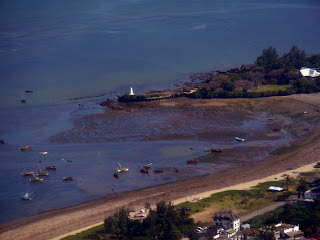 Chinese explorer 郑和 (Zhèng Hé) (the one with this insane armada of ships) arrived here some 80 years earlier, around 1418. 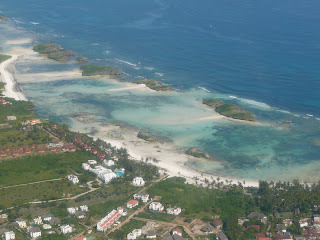 Watamu, south of Malindi. Truly great diving! 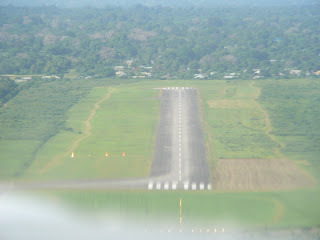 Approach to HKML RW 35 (here's a movie of the landing). Sightseeing flight in HKML was published on December 14, 2006 .